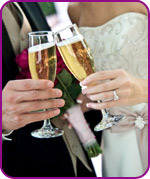 Celebrate your Wedding in Croatia, Anniversary or Family Reunion. Whether it’s a small group of friends or a large gathering, Croatian Villas are at hand to inspire you. Our carefully selected villas provide the perfect backdrop for a truly memorable occasion. From the turquoise waters of the Adriatic coast to sprawling uninterrupted countryside, we offer venues for all tastes and budgets. With breath-taking scenery and exclusive locations our imaginative flair will add sparkle and ambience to your special event. Croatian Villas can assist you in tailoring your event with our local sourcing of additional services such as chefs/caterers, transport, spa-days and entertainers. With larger villa accommodations sleeping up to 38 persons, each with its own unique character and charm, we can provide the most splendid setting for any requirement you may have, perhaps a Dubrovnik wedding, anniversary or birthday celebration, a family gathering or business and incentive event? At Croatian Villas we will help to ensure that your special occasion is a resounding success. Or we can simply provide accommodation for a large group and leave you the freedom to arrange the smaller details. Please contact us to discuss your requirements, or browse our selection of recommended properties for large groups or functions.